Gallagher and McDonald, Lest We Forget. 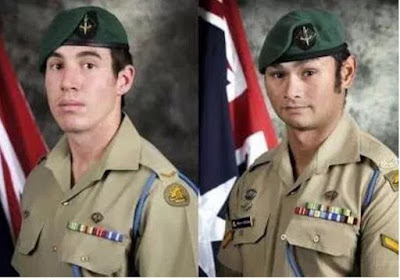 PTE Galagher and LCPL McDonald were serving together with the Special Operations Task Group in Afghanistan when they were tragically killed in a helicopter crash on 30 Aug, 2012. This workout is named in their honour.